The SDC is like but unlike any other Liong Mah design. 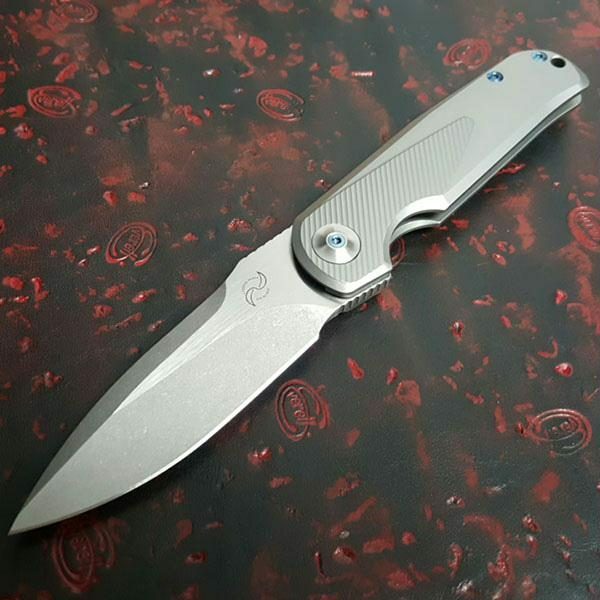 The materials, flipping action and ergonomic feeling in the hand are on par with all other Reate produced Liong Mah’s but the design lines take this folder into a whole new realm. It has an extremely compact flipper tab that is hidden by the shape of the handle when open. 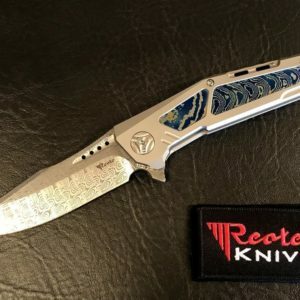 This is a feature that I absolutely love about this knife as it shows the thought and care that went into the design of the knife before it was ever sent to manufacturing. 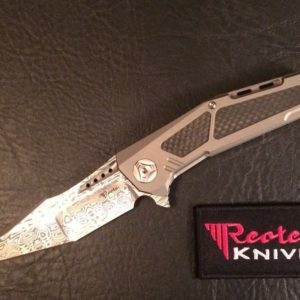 This flipper is jimped extremely well for excellent purchase and you can choke up on the design for more nimble work. You have additional jimping on both the thumbramp and finger choil. The 3.625″ spear point blade is made from CPM-S35VN stainless steel with a two-tone stonewashed/satin finish. The slim, milled titanium handles fit the hand like a glove and are comfortable no matter what size hands you have. 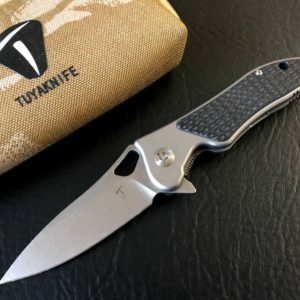 The sculpted titanium pocket clip allows for right-hand, tip-up carry and the knife features a milled titanium backspacer. The frame lock is sturdy, engages smoothly and has a replaceable steel lockbar insert. 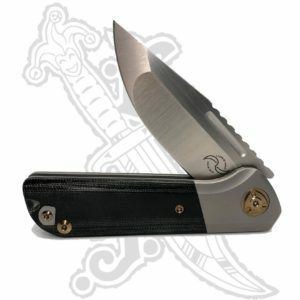 Each knife comes with a Liong Mah Designs zipper pouch and bronze anodized hardware for that extra pizzazz.